In cooperation with Honeypot, we're launching the first meetup by Xebia Studio! The event is about collaboration between development and design. Design and development are a crucial part to the end product. And it isn’t always easy to work together since both expertises look differently at the same problems. 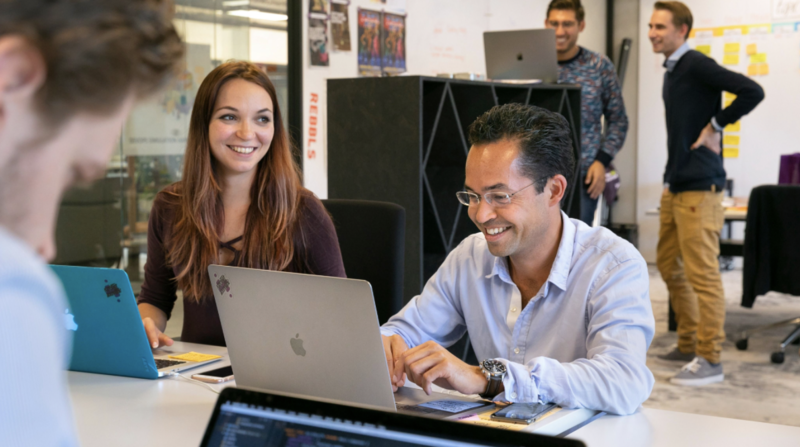 At Xebia Studio we believe that design and development aren't two seperate teams, but one team working together. The collaboration between design & development always seems to be some sort of forced marriage. They can’t live with each other and they can’t live without each other. Back in the days, the designers made their pixel perfect designs in Photoshop and the developer had to jump into this Adobe Jungle. If the organization of the photoshop file was not on point the developer could be in for an even bumpier ride. In the past year, there has been a lot of excitement about Design System and that it can fix the hopeless relationship between designers & developers. Within Xebia Studio we work with collaborative teams and made Design Systems a part of our way-of-working. In this talk, Giorgio will share all the juicy details and magic ingredients on how Design Systems have fixed the relationship between designers & developers. When you are developing a new product, you will quickly discover that designs change as quickly as the technical requirements and your code. If your designers and developers are not cooperating, this can turn in to a lot of frustration very fast. At Xebia Studio we are trying to tackle this problem in a number of ways. For example by working in collaborative teams, and utilizing a number of UX and development tools. In this talk, Arne will share the common practices that we use at Studio to make the lives of both our designers and developers a lot happier. Be ready for an epic love story!